"It was just a nice little community, and then the freeway came through and bisected the thing so we ended up with two East Central neighborhoods." Jim Hanley has lived in the East Central neighborhood since his father was assigned to Fairchild Air Force base in 1942. With over 70 years of experiences to build on, Jim has also become one of the foremost leaders in both the business community and in the neighborhood committees. When other interviewees were asked who the most influential people have been, his name came up time after time. Jim remembers East Central as much more of a retail center before the construction of I-90. Businesses thrived not only on Sprague Avenue, which was then the main thoroughfare in East Spokane, but on neighborhood street corners. Like many other small suburbs in America, residents of East Central tended to live smaller lives, shopping near their homes for gas, groceries, and other essentials, only occasionally heading into downtown Spokane for specialty items. Although the neighborhood had undergone significant economic and demographic changes since the 1920s, it remained cohesive and stable by the 1960s. As Jim tells it, I-90 cost the neighborhood hundreds of homes, which was profoundly disruptive to the neighborhood. Worse still, because federal planners actively sought out a region's lowest property values to keep construction costs down, the burdens of construction almost always fell on the people who were least able to bear them. This was certainly the case in Spokane, whose poorest residents lived at the bottom of the hill in the East Central neighborhood. Since most of them could not afford to move further up the hill, they were forced to move out of the neighborhood, turning the quarter-mile closest to the freeway into an area of concentrated poverty, a wasteland of dilapidated housing or empty and overgrown lots. According to Jim, East Central residents have been trying to "stitch the neighborhood back together" since the 1970s, an effort that is just now beginning to bear fruit. 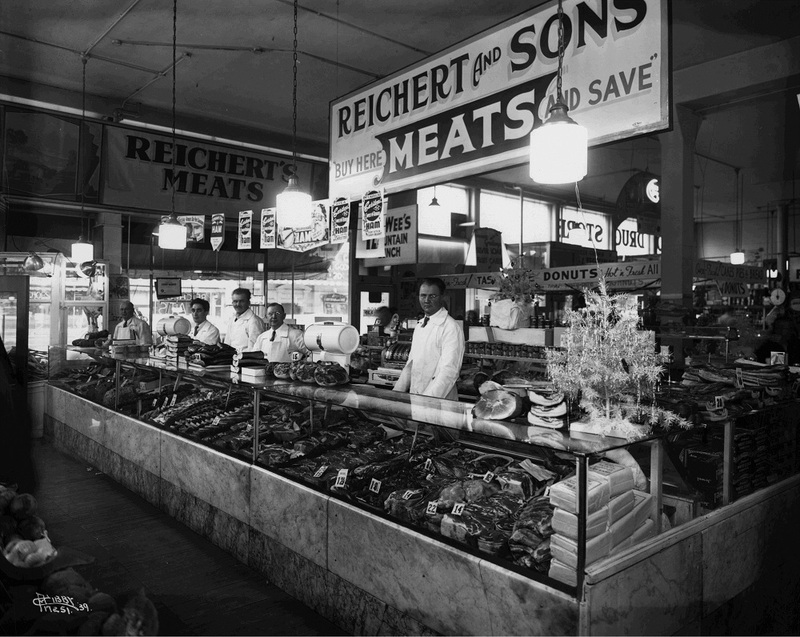 Reichert & Sons Meats, 1939 (image L87-1.17251-39 courtesy of the Northwest Museum of Arts and Culture). : Another one of the many family-based businesses that thrived in East Central. 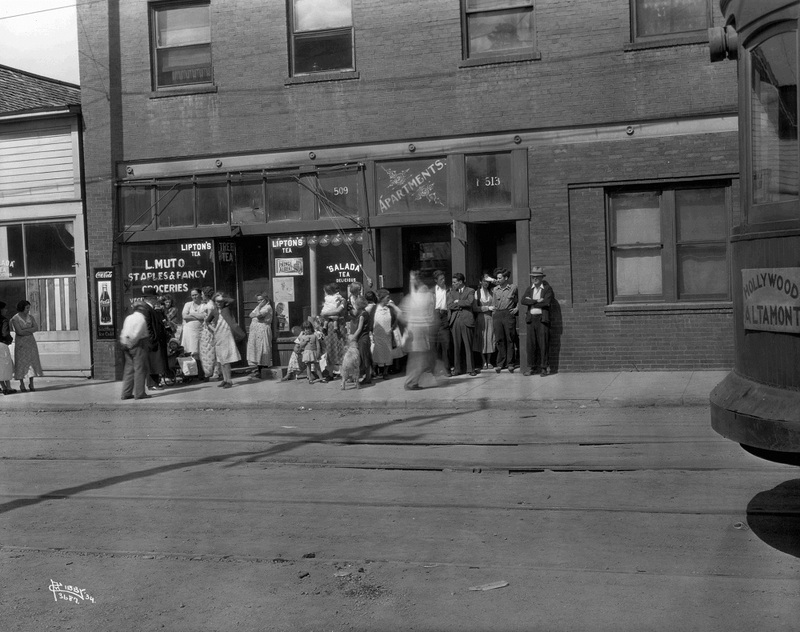 The Muto Grocery Store, 1934 (image L87-1.3687 courtesy of the Northwest Museum of Arts and Culture). : Like most small neighborhoods, East Central boasted dozens of small stores that served the community for decades. 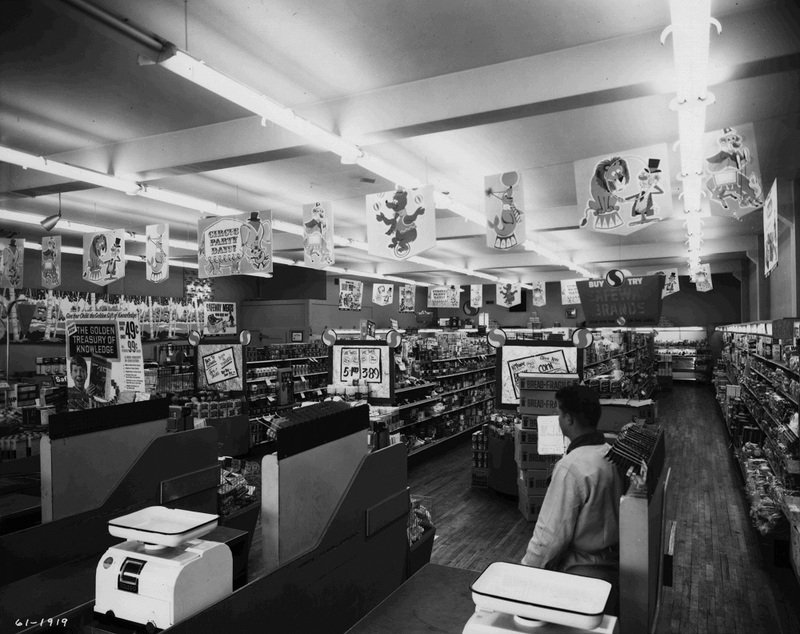 The Sprague Avenue Safeway, 1961 (image L87-1.1919-61). : Even large, national grocery store chains like Safeway were forced to close after I-90 diverted traffic away from Sprague Avenue. 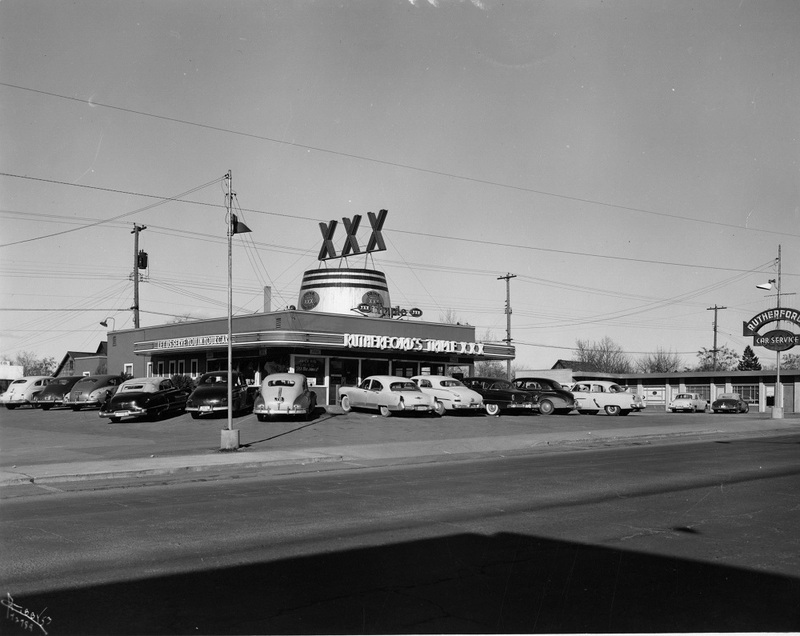 Rutherford's Triple X Lunch Stand, 1953 (image L87-1.72789-53 courtesy of the Northwest Museum of Arts and Culture): Lunch stands like this one were common along East Sprague, but were forced to close when I-90 funneled traffic away from the business district. 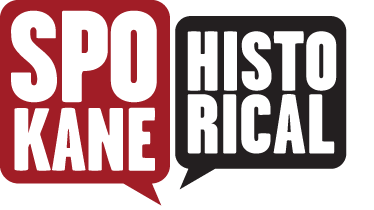 Spokane Regional Health District's Neighborhoods Matter Program, & Frank Oesterheld, “Jim Hanley, Resident Since 1942,” Spokane Historical, accessed April 20, 2019, https://spokanehistorical.org/items/show/474. James Hanley, interviewed January 10, 2014.